[Quote: Originally Posted by TDHPlays] I don't want to say too much, but I will be returning to LV before the NFL season starts. Am retired, have a secure pension from NV and SSA, almost at 50K per year based upon my work and my deceased wife's tenure as a teacher. Moreover, before going in a few weeks, I secured a part time job at $5k per year for 3 months work, as I don't want to work too much at my age. 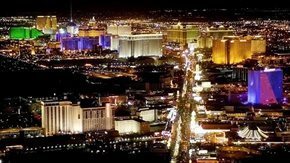 I lived in LV for over 14 years during my earning years and it was very good to me and my wife as employees, but not gamblers. Unfortunately, she died there of cancer at an early age. Of course, that was in the late 80's and early 90's before all the minorities moved in.